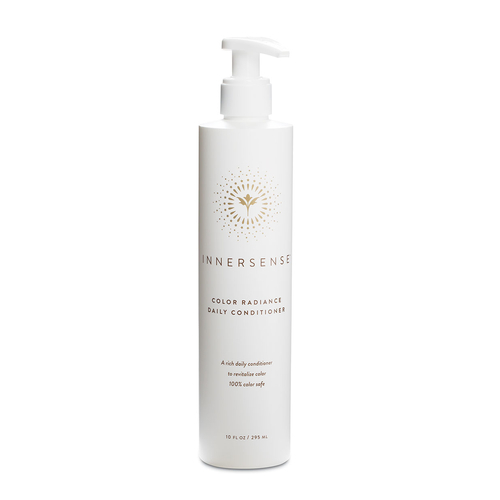 Color Radiance by Innersense Organic Beauty contains antioxidant sunflower oil to keep hair color looking its best and ward off signs of damage due to color processing. This conditioning infusion of organic and biodynamic ingredients are specifically chosen to give hair a strong, healthy feel. Lightweight for every day use, Color Radiance conditioner makes hair feel super soft without silicones, so hair has a naturally silky, shiny, and radiant appearance. Smooth on conditioner, with special attention to the ends and leave in while you complete your shower ritual. Rinse.